This article is 3253 days old. It’s Windsor’s 118th Birthday today! 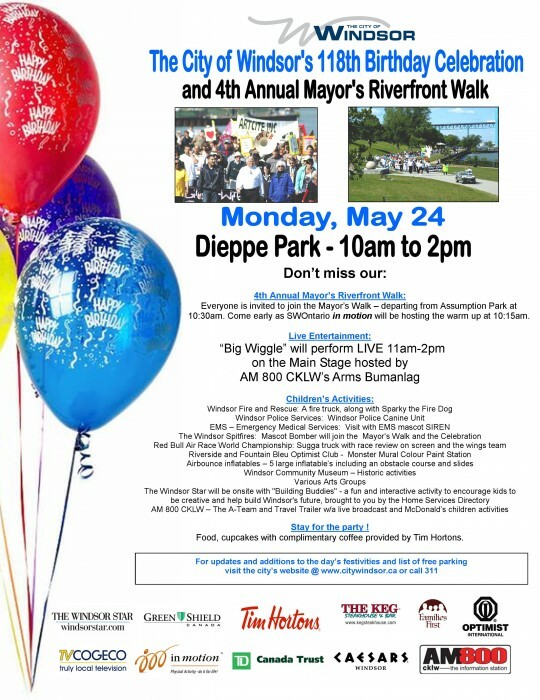 Come to Assumption Park near the corner of Riverside Drive and Rankin Avenue this morning for the 4th Annual Mayor’s Walk. Walk for a Creative City is also taking place at the same time, although it begins a bit more west of the Mayor’s Walk location. The Windsor Endowment for the Arts is putting on this walk, which will feature a number of Arts and Music groups from Windsor. 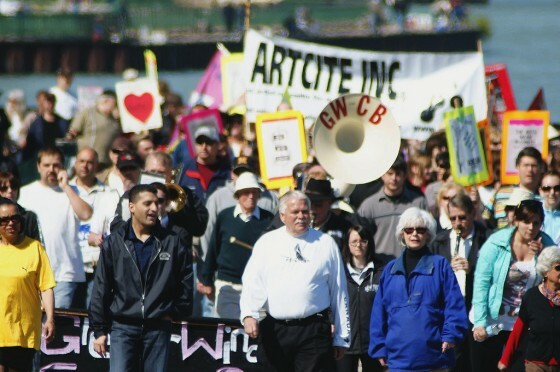 The Creative City Walk begins at 10:25am at Ambassador Park. Both walks lead to Dieppe Park for cupcakes and festivities.